ARBORIST CLIMBING ROPES 1/2″ Dia. 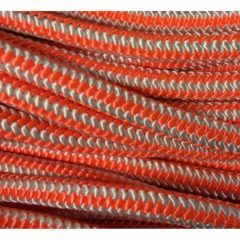 16-Strand Braided Cover over Parallel Core This rope features a non-rotational construction that leads to fewer snags and minimal abrasion for longer rope life. A high strength Polyester/Nylon composite rope with minimal cover milking.